This article will go over how to add a Menu to your CaterZen account. Here is a video that will show you step by step how to create a Menu for your CaterZen Account. Below are step by step instructions with screen shots on how to create a Menu for your CaterZen Account. 2 - Next you will see your existing menus that we uploaded for you when you first signed on to CaterZen to the left of the page. 3 - Click on the Add Menu tab. 4 - A pop up box will appear where you can add the new menu. A - Give the menu a name in the Display Name section. *note you do not need to add the word MENU after the name (that will automatically appear after you save). B - If the menu is only available during a specific time frame, the you will need fill in the starts at and ends at section. C - Show Menu On and Hide Menu On is a great way to show menus for a specific date range. For example you have a Holiday menu that you want to start promoting the first of November. Your menu can show on your software during the date range that you choose. D - Allow Orders for this menu start on this date and Disallow Orders for this menu after this date will allow you to choose a date range of when that menu item and the menu items that appear under that menu can be placed for orders. For example you may start promoting the Holiday menu on November 1st but the menu items can not be ordered till November 21st. You can choose a date range of when the menu items can be placed for an order. 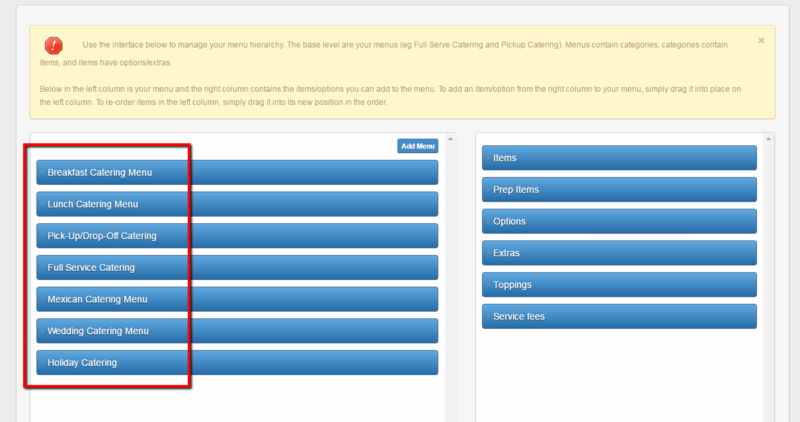 E - Currently Shown At: This will allow you to choose the location you want the menu to appear in. If this box is not checked of then the menu will NOT appear for employees or customers. 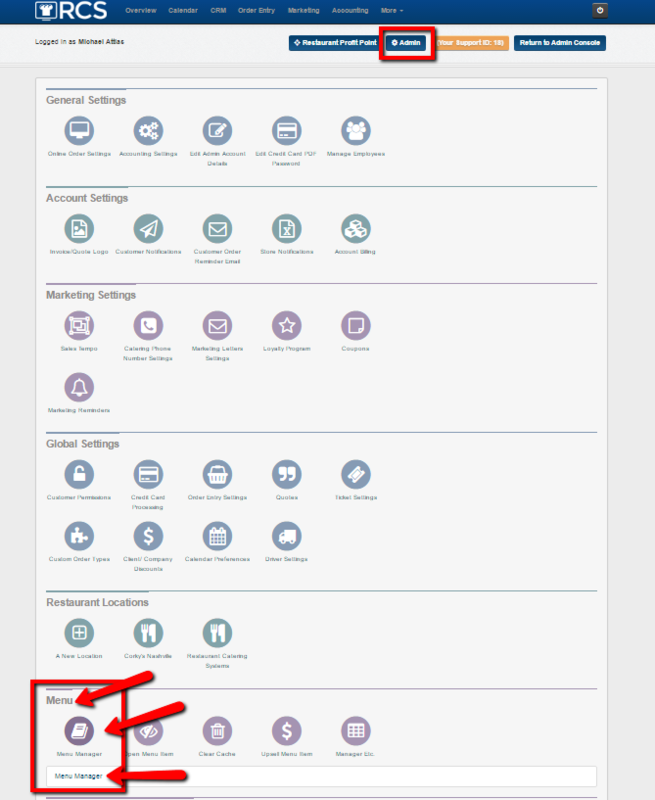 F - Is Shown To Customers: You have 3 options here: Shown to Customers mean customers and employees can see this menu. Hidden from Customers means that only employees can see this menu. Permission Based Menu means that only customers that you have selected in the CRM can view this menu. Employees will be able to view this menu as well. G - Disallow Delivery orders for this menu if checked off will not allow deliveries for this menu. Remember to click Save after making creating your menu. Your new Menu will now appear. 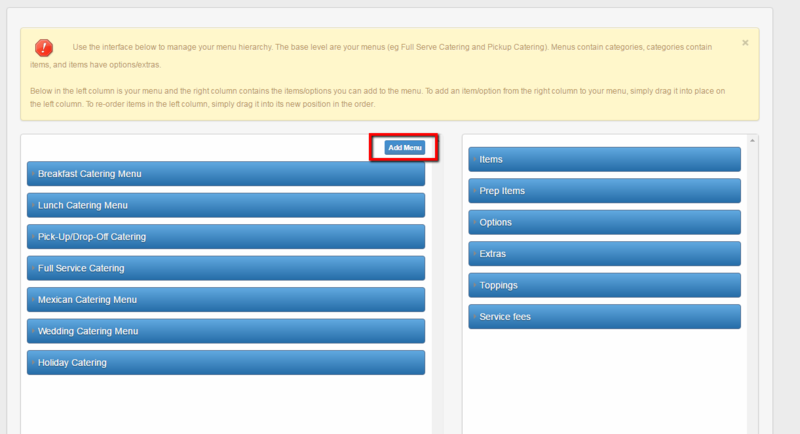 Next you will need to add Categories (please the article on how to add categories) and Menu Items (please see article on how to add menu items) to complete your menu set up.